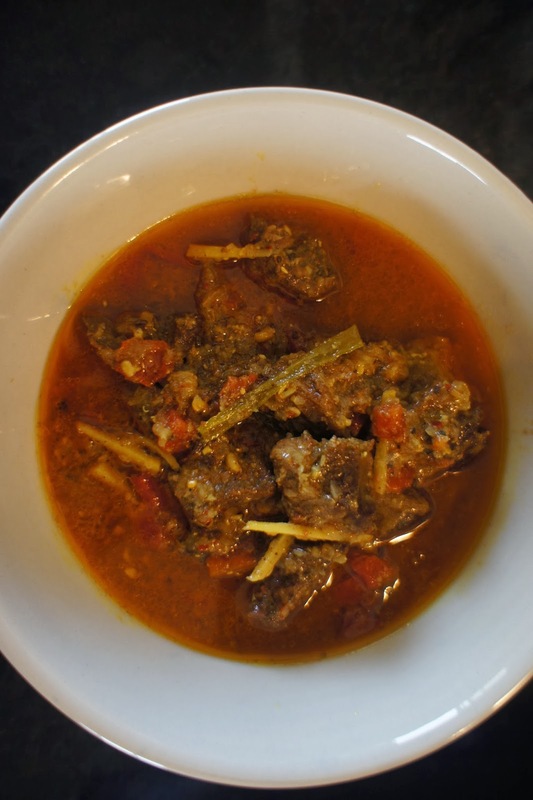 In the UK, 'having a Vindaloo' conjures up visions of inebriated Friday nights. Of beer swilling blokes downing ten pints before bundling into their local curry house. And then drunkenly making their selections from a standard anglo-Indian menu whilst competing to see who can eat the hottest curry - inevitably a 'Vindaloo'. You see, the Vindaloo is perceived as being at the top end of the chilli scale. At the bottom end of the scale is the Korma - creamy and mild (generally eaten by curry 'wimps'). If you can manage something with a little more flavour, then the tomato based Chicken Tikka Masala is the dish for you (and we all know Chicken Tikka Masala was actually invented by the Brits). 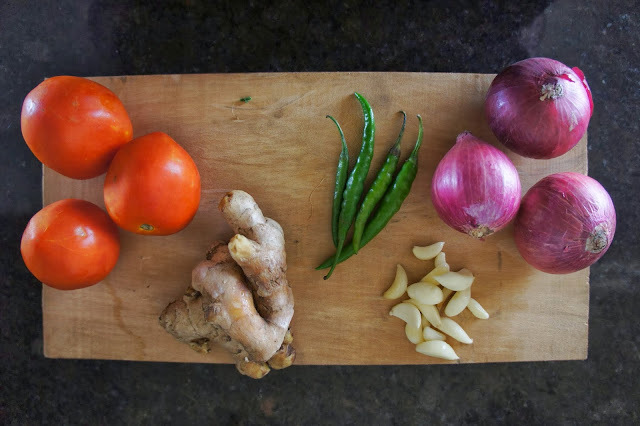 Those with a bit more curry muscle will choose the spicier Madras. All but the bravest will avoid the Vindaloo, a staple of British curry house menus, which is sure to blow the hair off your head and make your next toilet experience rather uncomfortable. Sadly, this is a misunderstood curry for those less in the know - who think that curry is all about the heat - and not all about the flavour. But an authentic Vindaloo - as eaten here in India - is in fact the complete opposite of that. 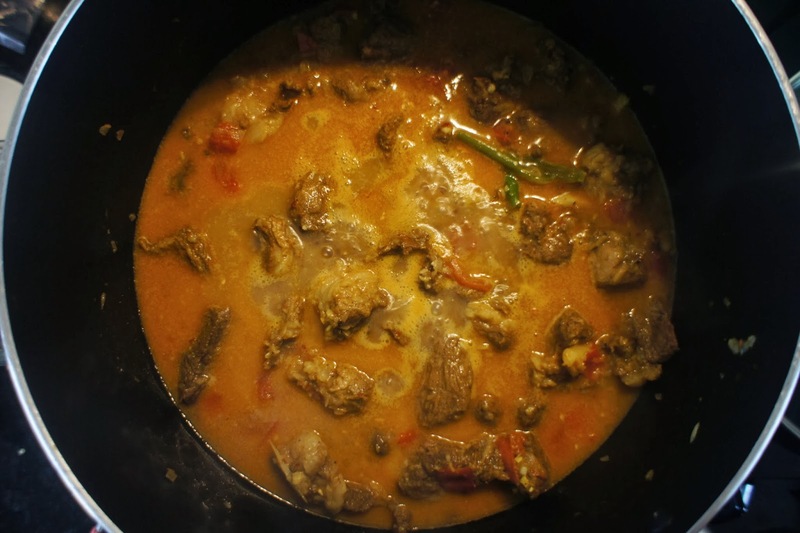 Sure, it's spicy but the heat is completely manageable and it has a depth of flavour that makes it much more interesting to the curry connoisseur. And the warmth comes not just from chilli - but from cloves, peppercorns and other spices in the masala. 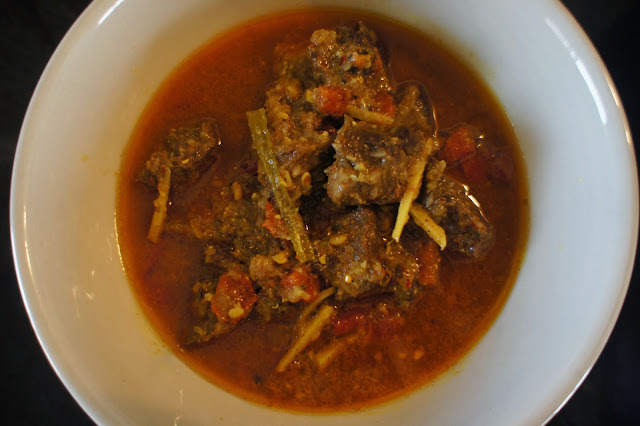 What you may not know is that Vindaloo is a actually a dish emanating from Goa (and popular in Mumbai) and therefore has its roots in Portugal (the Portuguese colonised Goa). The word Vindaloo is derived from the Portuguese dish "carne de vinha d'alhos' which consists of meat (usually pork), wine (vinha) and garlic (alhos). 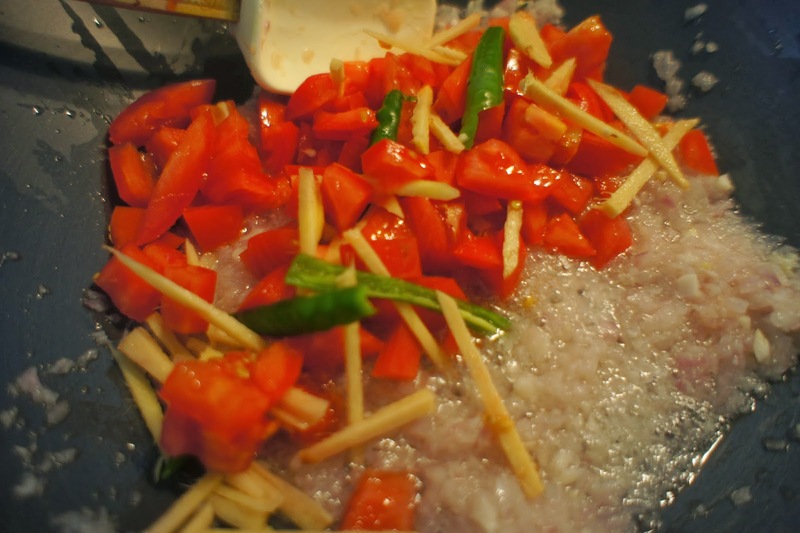 The dish was modified by the Goans by substituting the wine to vinegar and by adding chillies and spices. Firstly, the pork is marinated overnight in the vinegar and spices and then cooked the next day with green chilli, tomato, onion, garlic and ginger. The vinegar and a little brown sugar which is added at the end, lends a 'sweet and sour' taste to the dish which is completely different from the kind of vindaloo you will find in a UK curry house! Really delicious. 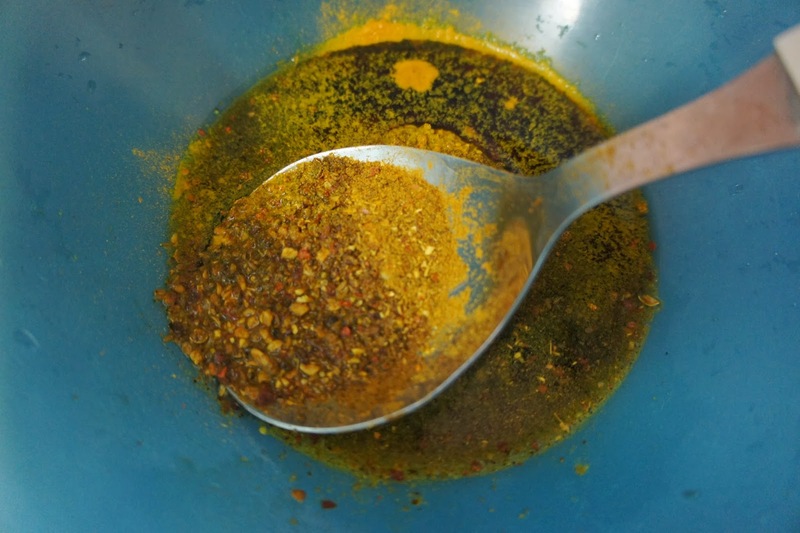 Mix the ground spices with the two vinegars in a mixing bowl, add the pork and rub in thoroughly to coat well. 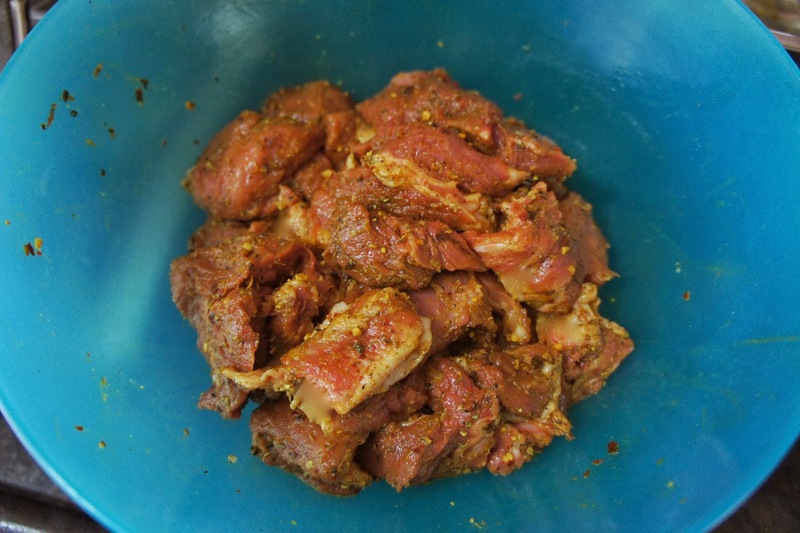 Keep the marinated meat in the fridge for 3 hours or overnight - as I ended up doing. 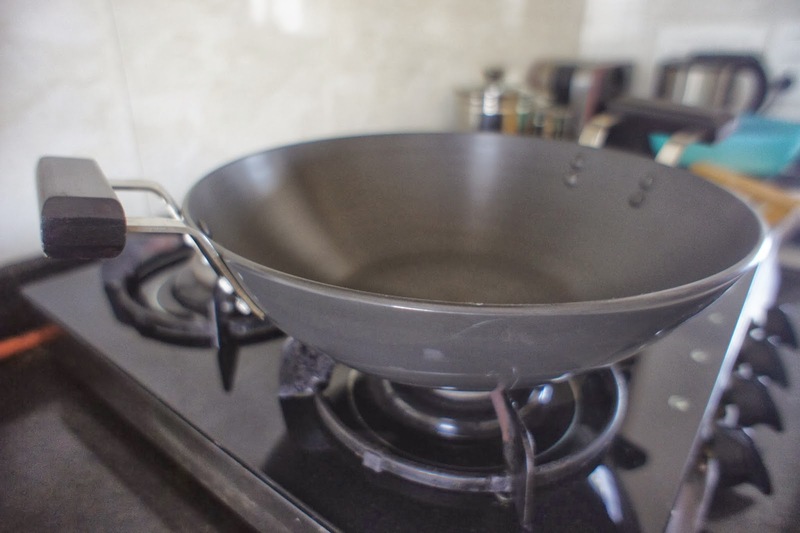 Heat the oil in a heavy bottomed pan or kadai (see below) with a tight fitting lid. Add the onions and fry until golden brown over a low heat. Add the garlic, ginger, tomato, chilli powder and green chillies and stir well. 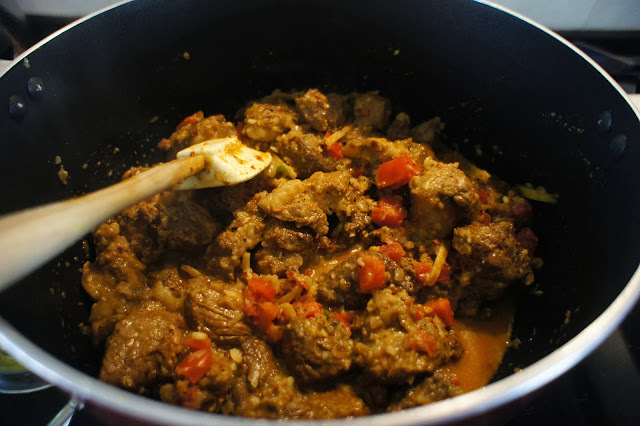 Increase the heat and add the pork - stir frying over a high heat until the meat is browned. Add salt, water and any leftover marinade. Reduce the heat and slowly bring it back to the boil. Add the jaggery/sugar, cover and simmer for about 45 minutes to an hour until the meat is very tender. Season with salt. 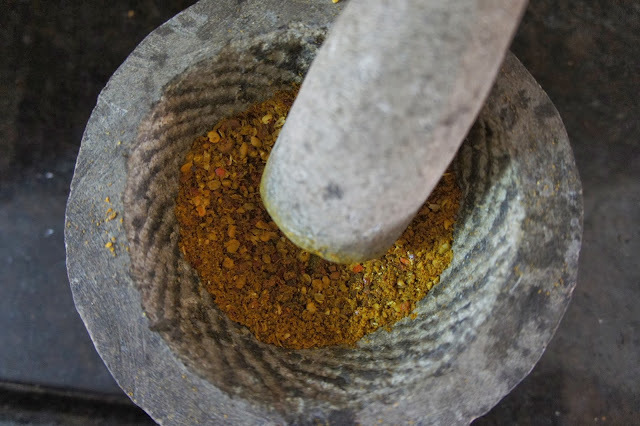 Grind the spices for the masala mix. Mr Jules is very good with a mortar and pestle. 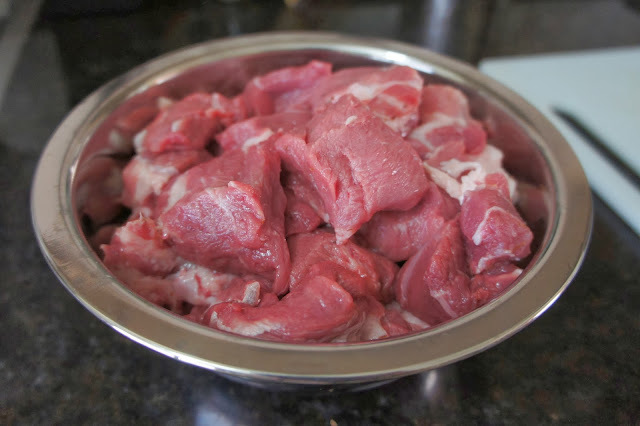 Trim off any excess fat and chop up the pork into into one inch cubes. I have in fact left a little fat on as it makes the dish juicier. This is an Indian Kadai - a heavy based pan that looks like a wok. I bought this one from Pali Market. This pan is what lends the name to Chicken Karai, Kadai or Karahi- another staple of British curry menus. 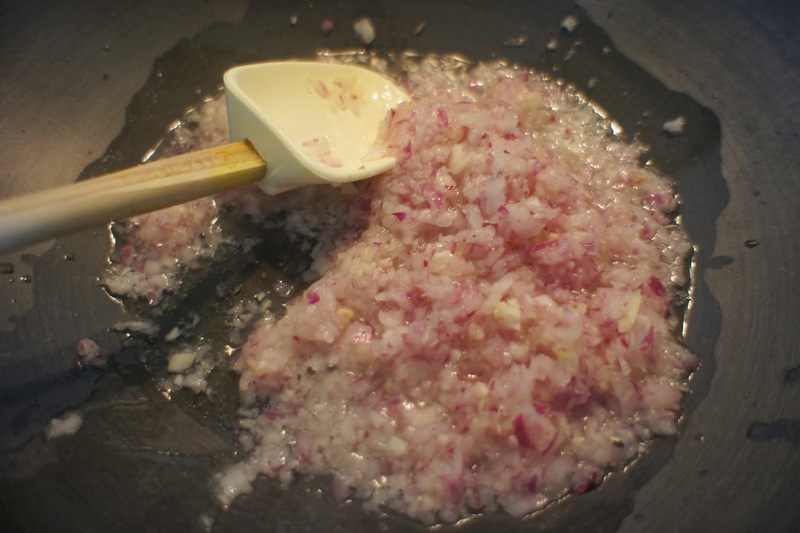 I chopped my onions and garlic in a mini-chopper to save time and tears - fry off in 4 tablespoons of oil. Add tomatoes, ginger and chilli to the onion/garlic. Add the pork and and stir fry until browned. Actually, my karai wasn't big enough in the end, so I had to transfer the whole lot to a big saucepan! ...but after an hour or so of cooking...it looks like this. Those are slivers of ginger that you can see. Serve with steamed basmati rice...Bon Appetit! I am sure it will be just as delicious with chicken...most people would not use Pork. Thanks for visiting Kashmira!